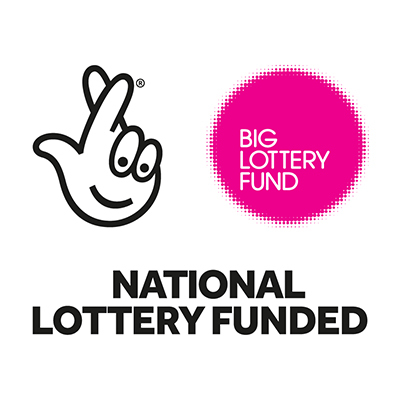 We’re really pleased to announce that we’ve been successful in obtaining funding from the Big Lottery Fund to do some work around refugees and asylum seekers. Over the next year, we will work with three organisations to try and identify the most important issues that refugees and asylum seekers present to services. We will create a map of these issues and build up the evidence base for how resolving those issues results in an improvement in health and wellbeing. All of the results of this work will be freely available for any service to use. We have already got ASIRT as one partner but we’re keen to find two other organisations to take part. For any organisation taking part, they will get to contribute what they know about the people they work with, in order to shape how we can measure outcomes. Each organisation will get free access to our Risk Tracker system to measure work with clients and will be taken through our Outcome Mark for Evidence. We will also provide some tablets so that they can use the system in face to face client work. If you know of an organisation that would like to take part please email info@insideoutcome.co.uk. This offer is not restricted to Birmingham. In fact, we’re keen to get as broad a contribution to the project as possible in order to get a greater sense of the common issues. Perhaps the Meena Centre in Birmingham would like to take part? They sound like exactly the sort of organisation we’re looking to work with. That sounds good. Do you know of anyone specific that we should contact? Hi Darren, I’m the chair of trustees for Coventry & Warwickshire Friend I’d be interested in following up Lesley’s suggestion with you. I’ll email you a copy of our annual reportour next Trustee meeting would be on the 6th January, so if we could speak before then that would be great. What is the timescale? Happy to talk before the 6th if that helps. If you send an email to darren@insideoutcomes.co.uk then it will come to me. There isn’t a timescale as such. I’d like to get started as soon as possible but realise it takes a bit of time to co-ordinate organisation. I’m looking for three partner organisations and have one in place so still quite a bit to arrange. Birmingham Centre for Arts Therapies provides a two-fold approach for refugees and asylum seekers, namely a programme of arts therapies for those who have experienced traumatic events in their lives which have left their mark on the person’s ability to cope with their present situation, coupled with a course of English Language teaching (EAL) for those who speak no English. Initially this approach was Lottery funded, but this initial grant has now run out and we have applied for a further, larger grant to support this work beyond the Midlands area – we do not know whether we will be successful or not. We would be pleased to join your enquiries. That sounds really interesting. The thing we specialise in is demonstrating the health benefits of interventions that aren’t usually perceived as health interventions. That seems consistent with what you do. We do this to help agencies make a better case for funding and increase the range of organisations they can approach for funding. I’ll get in touch via your website and see if there’s any way we can help each other.